The Six Screens TeleNetwork is up and running. How exciting it is to see this amazingly simple format connecting with thousands of curious and bright people from all over the world. 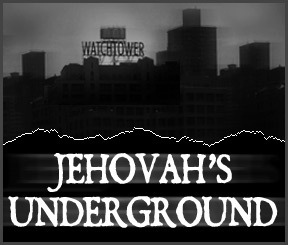 The colorful programs on this network will endeavor to expose the Jehovah's Witnesses and offer hope and support for those who have been abused by the Watchtower Organization's doctrine, policies and procedures. The conference call is free of charge, their are no hidden costs. The only cost is your normal phone call rate. No computer is needed. Just dial in and become part of a new format that is helping so many people. The conference calls are undoubtedly helping Jehovah's Witnesses to see the real truth, not to mention all those who have left the Organization and enjoy participation on our calls. Only through your support we are able to continue the conference calls and have them available in the archives. We appreciate any donations you can make. Thank you so much. The first and most popular program, Six Screens of the Watchtower Conference Call is the hub of all the latest in the Watchtower World. This vibrant program is helping victims of abusive relationships. The Watchtower Society is notorious for not treating domestic abuse in a christian manner. Susan Greene as your host does an excellent job helping victims to become Warriors. Hosted by "Jonny the Bethelite"
Jonny claims to be an active Jehovah's Witness Bethelite calling from the world headquarters of The Watchtower Organization. Jonny's call is attracting a large audience as he talks about what is going on inside the world of Jehovah's Witnesses. Former Jehovah's Witness Richard Rawe gives us an inside look at the dark history and outright mayhem within the Watchtower Organization. program info here.program info here.program info here.program info here.program info here.program info here.program info here.program info here. UpperRoom Ministries is attracting many participants including active Jehovah's Witnesses. Listen in as former Jehovah's Witnesses and fellow Christians meet in a house church. A sermon is given and then the lines are opened up where comments and questions from the telephone audience are entertained. Cochise Pendleton, author of the book "The Bible vs. The Watchtower" discusses Christianity and Bible topics. This is a good opportunity for many former Jehovah's Witnesses who have questions about the Bible. The Bible Students offer a fascinating and informative program.